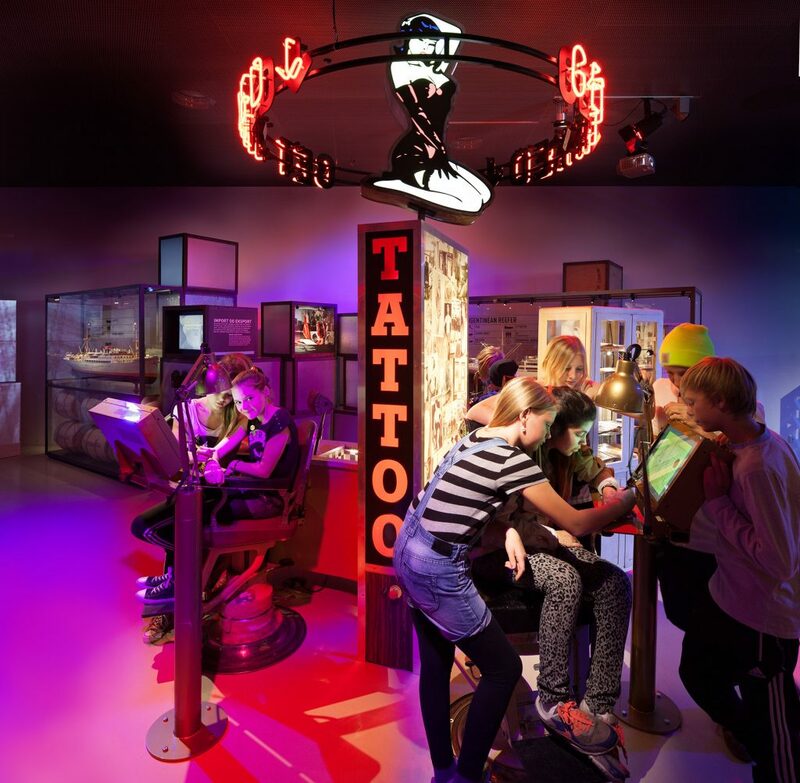 The M/S Maritime Museum of Denmark is not just for adults – interactive games, temporary tattoo stands and fascinating exhibitions ensure that children have a great experience at the museum. The interactive exhibits, the beautiful surroundings and facilities make the museum the perfect day out for the whole family. The underground museum offers great experiences for all ages – both during the school holidays and also on normal working days. 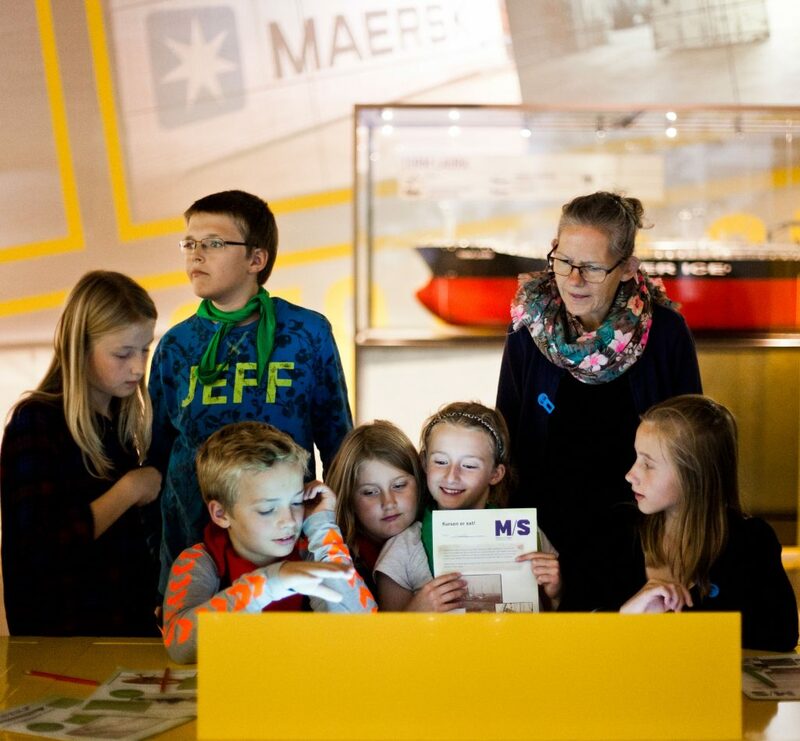 Remember that children and young people under 18 get free entry to the M/S Maritime Museum of Denmark. 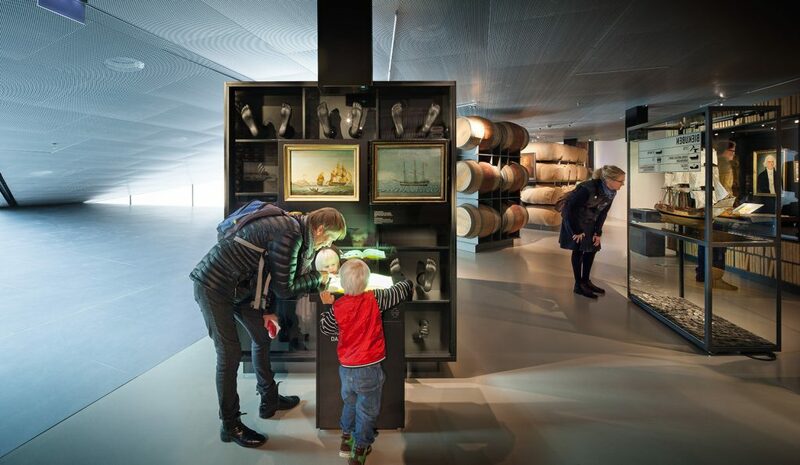 The award-winning exhibitions at M/S Maritime Museum of Denmark focus on interactivity. 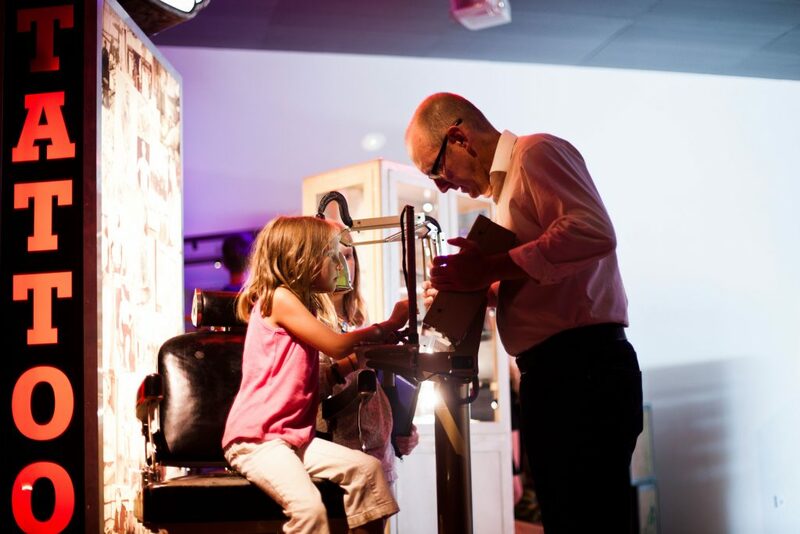 Temporary tattoo stands, where you can get your own sailor tattoo, are a big hit with children. 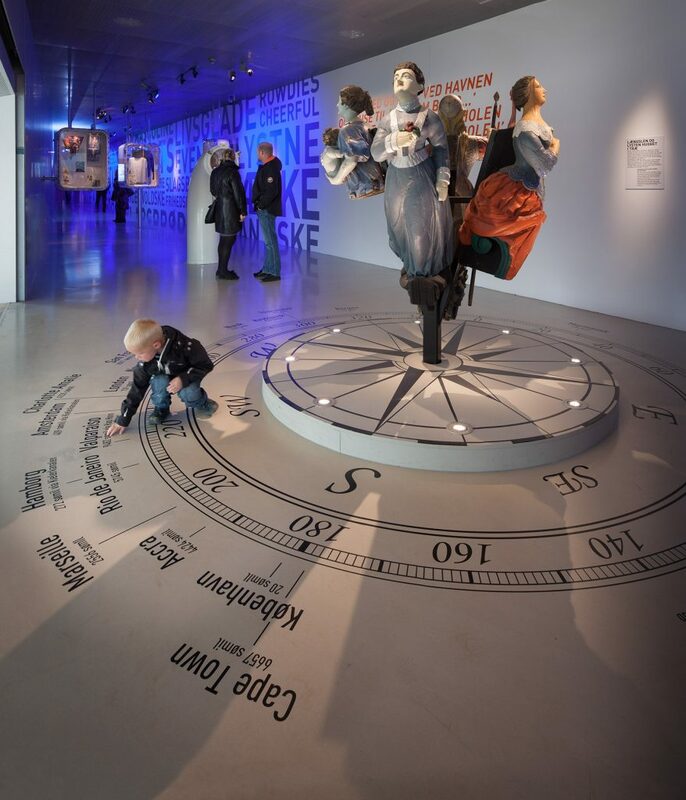 The museum also offers several games along the way, where both children and adults can channel their inner sailor – both in 1700 and in 2016. The “Tea Time – The First Globalisation” exhibition includes a trading game where you can use a logbook to compete against other visitors at the museum. The aim is to sell, buy and sail. Take your experiences of merchant shipping in the 1700s with you to the exhibition on shipping today. Here there is also a trading game – but this time it is your skills as a modern shipping executive that are put to the test. The aim is to sail raw materials between the different continents. It can all be followed on a large live world map, where you also have an overview of ships that sail for Danish shipping companies. Strollers and prams are very welcome at the M/S Maritime Museum of Denmark. Using the elevators, it is possible to get around the whole museum and outside with strollers and prams. Very young children are also welcome at the museum. The M/S Café toilets and the toilets at the entrance have baby changing facilities and you are allowed to breastfeed anywhere in the museum. In the museum’s café there is a children’s menu and highchairs for children. Packed lunch can be enjoyed outdoors in the museum’s dock or indoors in the museum’s classroom if it is not in use. 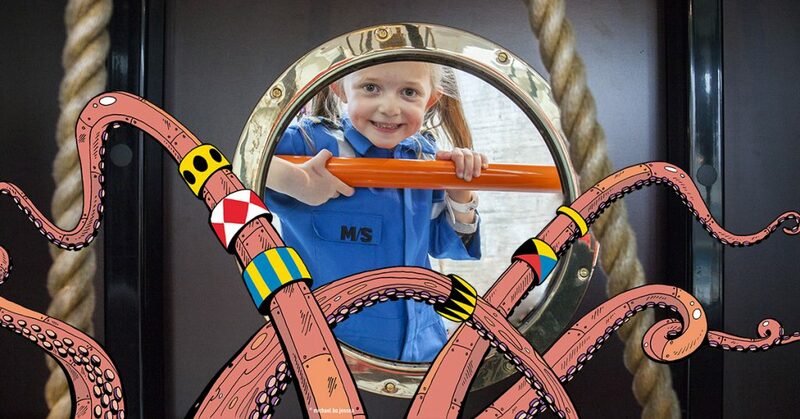 Experience seafaring up close with DRØMMESKIBET – M/S Maritime Museum of Denmark’s 400 m2 maritime play world. 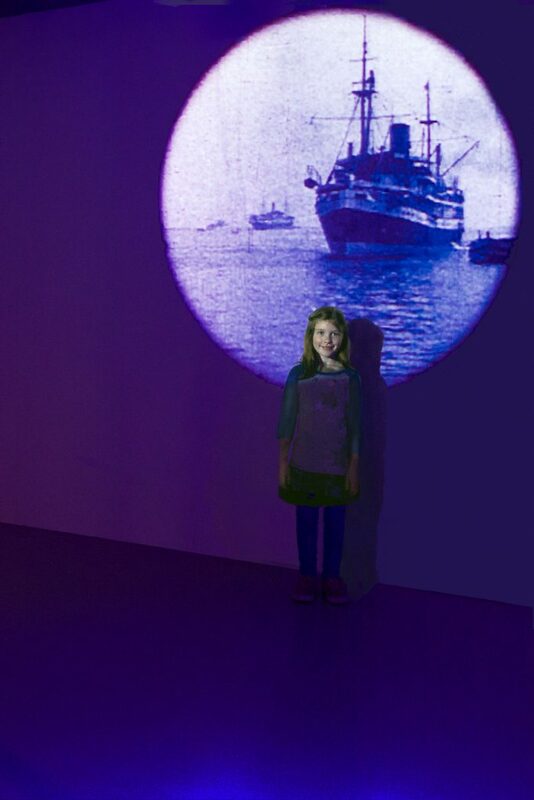 Children have free entrance to THE DREAM SHIP and rest of the museum.